- Online pictures and dimensions don’t fully demonstrate how an item will work or look in your space. - Online retailers don’t offer the benefit of real-time interaction with an expert, and you often only have the listed product details for reference. Purchasing office furniture online doesn’t give consumers the option to learn from experts and refine their search based on hands-on experience. 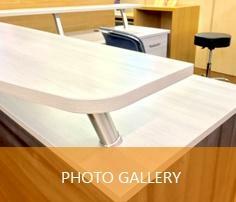 After visiting a showroom, many people have a different and more accurate idea of what they need in their office space. As a reputable local commercial and residential furniture dealership, we take pride in our showroom and the inventory inside. 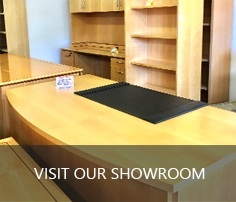 We encourage all businesses or individuals to visit our showroom so you can 'see it to believe it'. Contact Us today for a personal look at what we can offer.